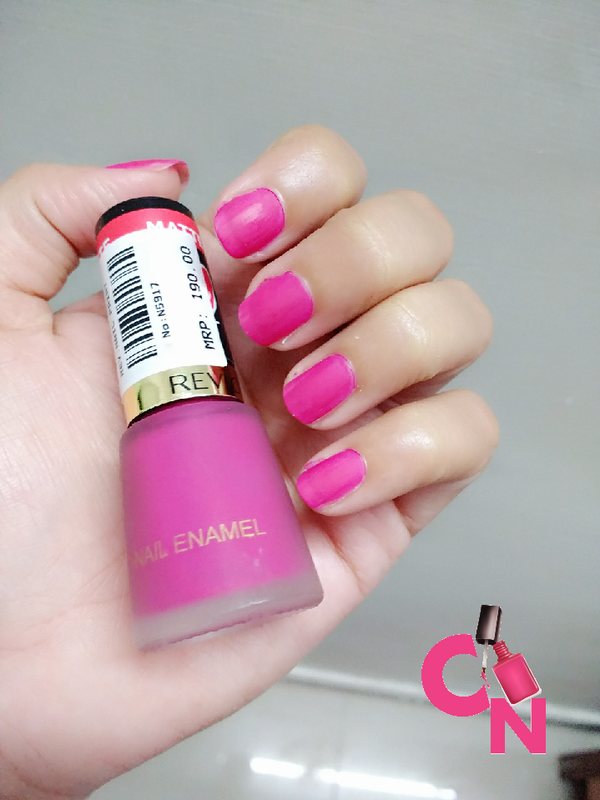 The last one from my Revlon Matte Nail Polish Collection is here ready for review finally! 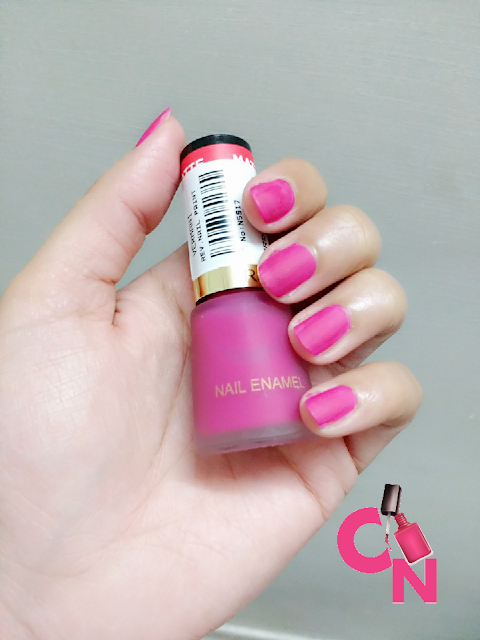 Revlon Matte Nail Polish Collection- Crimson Matte is a very pretty fuchsia pink color. I love this one so much that I have started search for a lip color that is similar or exatcly like this one. Pssstt.. If you know any shade, do tell me! Although, I love this collection a lot, but I dont think I will be buying more from the collectio as rest of them are basic colors and I have Revlon Matte Top coat so I can pretty much turn any color nail polish into matte one ( I have many nail polishes, just like you *wink* *wink*). You can buy any of them at your nearest store. 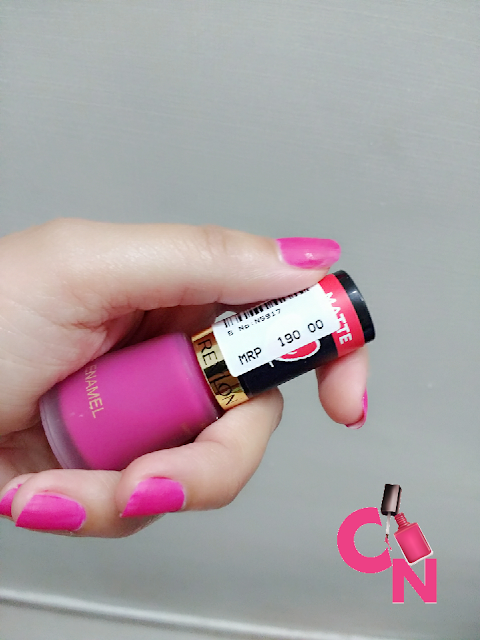 Let's start reviewing Revlon Matte Nail Polish Collection- Crimson Matte! 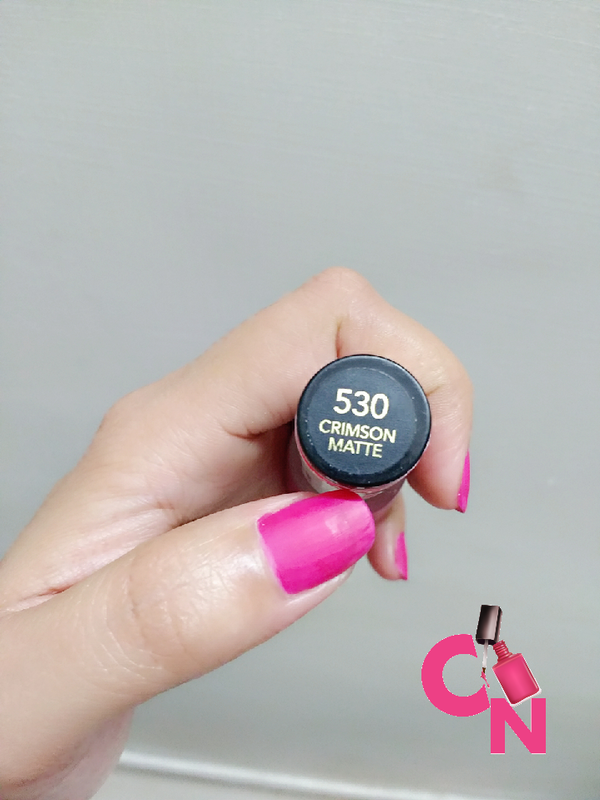 Crimson Matte is a very pretty girly color that you can wear on a bright summer day or on a dull autumn day to add life to your look or gloomy day. Quantity is quite fine seeing the quality and the cost. I know a lot of brands selling matte nail polishes at a much higher price. Revlon has done a commendable job over here for us crazy nail polish lovers. Applying Revlon Matte Nail Polish 530- Crimson Matte is quite easy with the super efficient applicator brush. 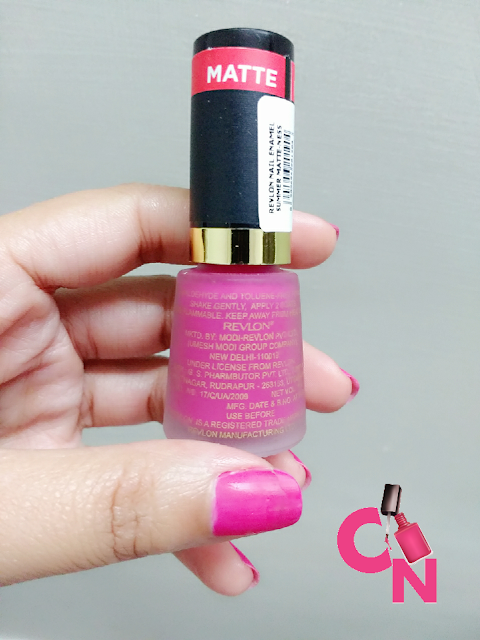 If you have tried +Revlon Trends nail polishes before, you can easily understand how good that applicator is. 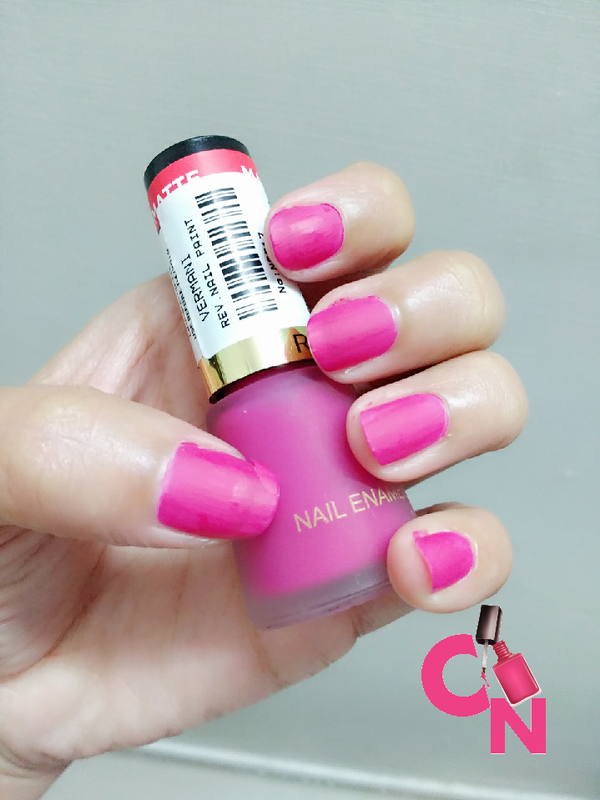 It took me 2 coats to perfect the look, but if you are using a base coat, you may skip it. It has a sheer color turn out in one coat. 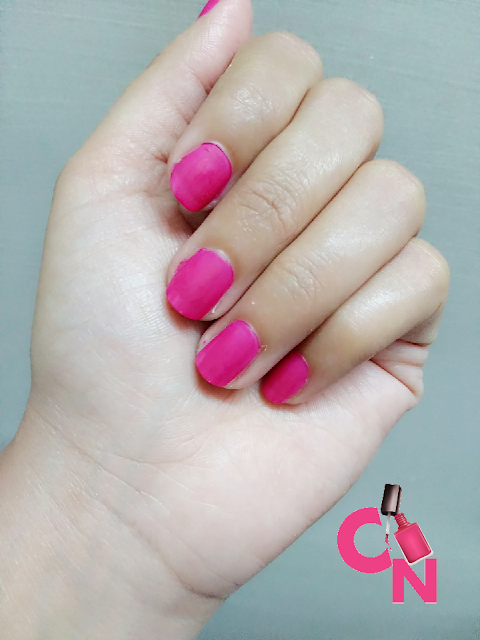 Revlon Matte Nail Polish 530- Crimson Matte can dry up very quickly so make sure to apply it in time. 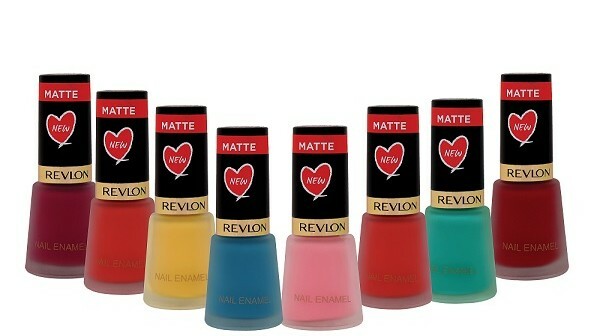 Revlon Nail Enamel are DBP, Toluene and Formaldehyde free. You might notice in this pic that I broke my thumb nail. 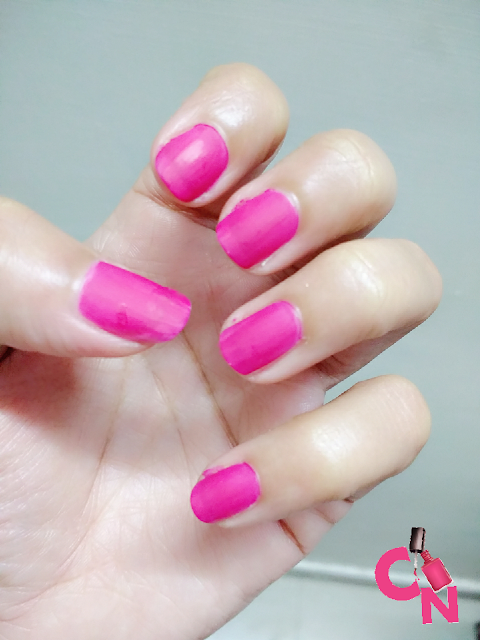 It was after I finished applying Revlon Matte Nail Polish Collection- Crimson Matte. While Keeping my huge nail polish kit box in the cupboard, it slipped and I sacrificed my nail for saving my little babies (nail polishes). 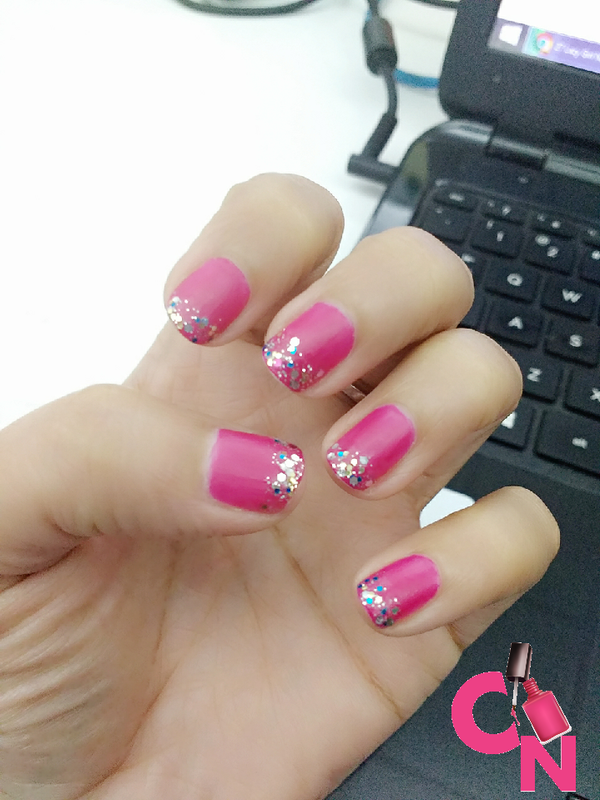 I did a little glitter french mani using my NewU glitter polish. Look my thumb nail is so sad and heart broken. I have very small nails and just recovered from zinc deficiency. I hope you liked the review and enjoyed the swatches. Do share your experience with me if you go and buy any of these colors or any other color from the collection.